France’s presence in Central Asia consists of a network of cultural centres that foster French language and culture, combined with flagship enterprises active in the region, such as Areva, Bouygues, Alstom and Thales. The country also maintains military attachés across Central Asia, in particular, in Tajikistan, which is home to the air base that supports French operations in Afghanistan. France was one of the first European countries to forge diplomatic relations with the countries of Central Asia, as demonstrated by Francois Mitterrand’s visits to Kazakhstan in 1993 and to Uzbekistan and Turkmenistan in 1994, which were the first visits to the region by a European leader. 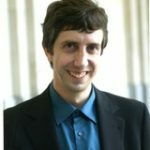 However, relations shifted in the second half of the 1990s and the first half of the 2000s. 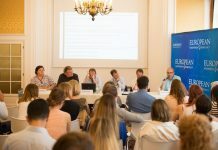 Like many other European countries, France has largely delegated democracy and governance promotion to European institutions, viewing these issues as integral to Europe’s branding on the international stage. It has concentrated on promoting its own direct interests, which are primarily economic and cultural in nature, but also include security interests linked to the ISAF intervention in Afghanistan. Relations between France and Central Asia have more and more been concentrated on energy and security, which has relegated human rights promotion to the background. France’s foreign policy is dominated by its relationship with the countries of the southern Mediterranean (the Maghreb countries, Lebanon, Egypt, Syria and Iraq) and with sub-Saharan Africa. As former colonies, these countries are the flagships of Francophony. Political relations with them are considered by Paris to be crucial, and are influenced by long-term commercial interests, as well as by the desire to build a constructive dialogue with the countries of origin of much of the new French populations. The Eastern Partnership is judged by Paris to be of secondary importance and is to an extent left up to German and other European countries’ direction, although France’s traditionally positive relations with Russia are nurtured. 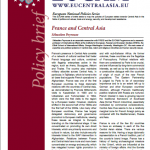 French interest in Asia is growing beyond the traditional framework of Southeast Asia (former French Indochina), essentially motivated by commercial considerations. Central Asia thus seems to be a relatively marginal zone for French foreign policy as compared with the Mediterranean, Russia and Asia. France is one of the few EU countries to have an embassy in each of the five Central Asian states. There are various reasons for this. Having a large diplomatic representation is a French tradition, part of the country’s brand image. France has a history of having archaeological missions in the ‘Orient’, which are influential at the ministry of foreign affairs. And the Soviets left in Central Asia a legacy of promoting the French language, which is widespread in schools throughout the region. Paris was represented in Tajikistan by the French ambassador to Moscow up until 2003, when it appointed a resident ambassador to the country. The most recently opened French embassy was in Kyrgyzstan in May 2010, which had previously been covered by the embassy in Kazakhstan. Kazakhstan, Turkmenistan and Uzbekistan have their own embassies in Paris. All three countries also have lobbyists working to influence the French National Assembly and the Senate. High-level official visits have been organised with each of the five states, although preference has been given to Kazakhstan. Kazakhstan’s president, Nursultan Nazarbayev, has been to France nine times since his country’s independence. The French prime minister at the time, François Fillon, made an official visit in 2008, followed by President Nicolas Sarkozy in 2009, and Jean-Yves Le Drian, defence minister in President François Hollande’s government, in July 2012. Tajikistan’s President Emomali Rakhmon has been to France twice, in 2002 and in 2005. Despite the nature of the Turkmen regime, President Gurbanguly Berdymukhammedov was received at the Elysée in February 2010, a visit that did not pass without setting off fierce criticism. Sarkozy’s minister of foreign affairs, Bernard Kouchner, went to Turkmenistan and to Tajikistan in April 2008 and to Kyrgyzstan in July 2010, the first visit of a French foreign affairs minister to the country. Anne-Marie Idrac, the secretary of state for foreign trade, visited Ashgabat in June 2010, and the former minister for foreign trade, Pierre Lellouche, travelled to Turkmenistan in 2012. Bilateral visits with Uzbekistan have slowed somewhat since 2005: the most recent visit to France by a high-ranking Uzbek official was in October 2012 when foreign minister Abdulaziz Kamilov met with his counterpart Laurent Fabius. Only Pierre Lellouche, then special representative for Afghanistan and Pakistan, and Anne-Marie Idrac have gone to Tashkent, in June 2009 and July 2010 respectively. Officially, France upholds the promotion of European values, democracy and good governance. The ministry of foreign affairs is concerned by the human rights situation in the region and wants to see progress on freedom of expression and political pluralism. (1) Among the European countries, France tends to take a centrist stance, in between those like Germany who call for pragmatic policies and those who push more strongly for human rights and democratic reform, such as the Nordic countries, the Netherlands and the UK. After the violent repression of the Andijan protests in May 2005, Paris supported the adoption of sanctions against Tashkent. After this, Franco-Uzbek relations declined sharply and several French initiatives, such as the French Institute for Central Asian Studies (IFEAC), were shut down by the Uzbek authorities. 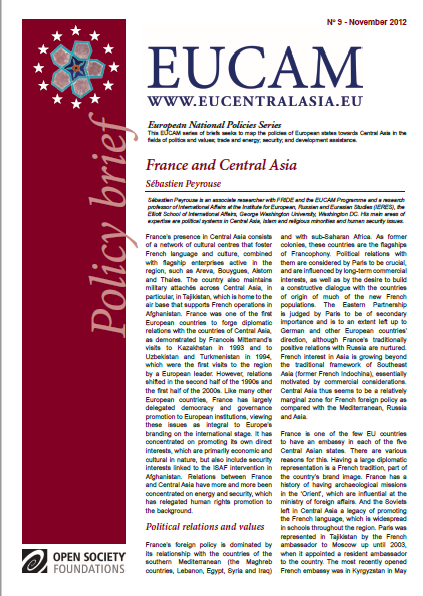 During its EU presidency in 2008, France contributed to the development of several projects in Central Asia. In partnership with Germany, it launched the EU Rule of Law Initiative, which aims to share EU experience in the judicial system, in law enforcement and in accountability within national administrations. Germany is working on legal training for members of the judiciary and lawyers, while France is dealing with defence rights in criminal proceedings. For several years, France has also played an important role in the implementation of the Uzbek treasury, which has largely been inspired by French procedures and regulations. (2) During the French presidency, the first Human Rights Dialogues involving Turkmenistan, Kyrgyzstan and Kazakhstan were organised. Paris has supported the process of broadening cooperation between Kazakhstan and the Council of Europe, and under this framework, Astana has submitted a request to sign up to the European conventions on mutual judicial cooperation in penal matters, the international value of repressive decisions and the transmission of repressive procedures, as well as to those on penal and civil responsibility for corruption. 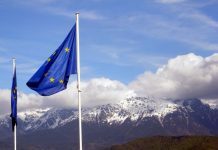 The French EU presidency organised an EU-Central Asia forum in September 2008, which enabled the first ever gathering of foreign affairs ministers of European and Central Asian countries, the European Commissioner in charge of external relations and neighbourhood policy and the High Representative for Common Foreign and Security Policy (CFSP). Trade is the main driver of bilateral relations. France has established joint commissions for economic cooperation with Kazakhstan, Turkmenistan and Uzbekistan. French imports mostly consist of hydrocarbons and other extracted resources, in particular uranium. Exports are mainly made up of mechanical equipment, electric and electronic material, information technology, chemical products, perfume and cosmetics, pharmaceutical products, transport material and medical equipment. €2.9 billion in 2010. The French authorities, however, are hopeful that exports to Kazakhstan will grow in the years to come, thanks to recent contracts involving French firms such as Alstom and European consortiums with French involvement such as Airbus and Eurocopter. French oil company Total has a 16.8 percent stake in the North Caspian Operating Project, which exploits the gigantic deposit of Kashagan,(4) and the company is also involved in the Kazakh Caspian Transportation System (KCTS) project. The partnership in civil nuclear energy between Areva and Kazakh state agency Kazatomprom is another driver of economic cooperation. French involvement in the space sector has led to cooperation between Kazakhstan Garysh Dapary and EADS Astrium, as well as the participation of Thalès Alenia Space and the Galam joint venture in the Kazakh communications satellite project KazSat3. Kazakhstan Engineering and Thalès have established an industrial and technological partnership for the joint production of telecommunications systems, to take place in Kazakhstan. Kazakhstan Engineering and Eurocopter have established a partnership for the development of a helicopter field in Kazakhstan. 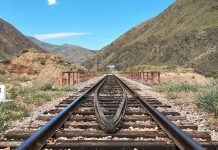 Negotiations are underway between the municipality of Astana and Alstom for the construction of a subway train project. Turkmenistan is France’s second-largest Central Asian partner, with €192 million of trade in 2009, far behind Kazakhstan. It mainly imports mechanical and electrical goods, especially for use in its extraction industry. France’s standing in Turkmenistan in trade terms is unique in Europe because of the key role played by Bouygues in the country. The construction company has managed to establish and maintain extremely privileged relations, first with President Saparmurat Niyazov, and then with his successor, President Berdymukhammedov. It has obtained a large share of the country’s construction market, in which it mostly competes with Turkish firms. 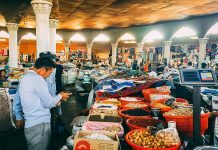 After some gloomy years, trade exchanges between France and Uzbekistan have risen again, reaching a total of €249 million in 2010. France has become Uzbekistan’s ninth most important trading partner. The trade balance between the two has been tipped in favour of France, thanks to Uzbekistan Airway’s purchase of 10 airbus A320s and Oberthur and Thalès’s deal to supply a system of biometric passports(5) French companies are active in telecommunications, pharmaceuticals, agriculture, construction materials, automobiles, certification, electrical material, advertising displays and energy. Despite tense political relations, in 2010 a delegation of French companies, led by Medef International, visited Uzbekistan in a bid to reinvigorate economic relations. In 2011, the Natixis bank and the Uzbek finance ministry signed an agreement for Tashkent’s purchase of French services and material to revamp the pump houses of Navoy and Uchkara. French companies Lafarge and Areva have been trying to gain ground in Uzbekistan, but Total and GDF- Suez have left the country because they found the investment climate too difficult. France’s relations with Kyrgyzstan and Tajikistan remain limited. Trade exchanges with Kyrgyzstan amounted to €29 million in 2009, and to only €12.7 million with Tajikistan. Investment conditions are considered too risky, although some companies have tried to establish themselves in Kyrgyzstan in the sectors of hydroelectricity (Mecadimi) and electricity (Ineo). In Tajikistan, only four French companies have opened agencies: EDF, Ineo, Areva and Sofema. Alstom, however, is an active player in electrical energy transmission. The main project involving French companies is the construction of a new terminal at the Dushanbe airport. The total project cost, around €27 million, is financed by a French government loan, in return for which the French can maintain a military presence free of charge. Building work was resumed in 2012 after delays by French company Vinci Airports. France’s trade and investment interests in Central Asia are not only linked to hydrocarbons, but also to other economic sectors like uranium, construction, aeronautics and dual technologies. Whether the companies involved in the region are public or private, they all have close relations with French political circles and are therefore able to influence diplomatic decisions. French-Central Asian relations were revitalised by the intervention of NATO forces in Afghanistan in 2001. France’s chief military presence in the region is the French air force detachment (Detair),which has been stationed at Dushanbe international airport since 2002. Detair has two C-160 Transall transport planes and about 200 men, and is tasked with providing support for the French military units deployed in Afghanistan; its missions involve the transport of personnel and freight. In exchange for that presence, France has developed its military cooperation with Tajikistan, in particular through joint exercises in parachuting, as well as restoring the airport landing strip and granting a loan for the construction of a new terminal. Paris says that it has made security in Central Asia a key sector of cooperation, noting the risks of instability in the countries of the region, especially ‘organised crime, drug trafficking from Afghanistan and terrorism,’ and it has declared security cooperation an issue of major importance for France. (6) French involvement in the sector is mostly conducted by the Directorate for International Police Cooperation (Direction de la cooperation international de police), which works throughout the entire Central Asian region, apart from Turkmenistan, to develop police cooperation in priority sectors for French domestic security, such as terrorism, drug trafficking, illegal immigration and organised crime. 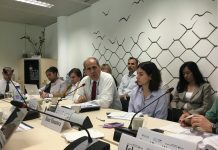 In the fight against drug trafficking, Paris supports the Central Asia Regional Information and Coordination Center (CARICC), in which it has observer status. France also plays a leading role in training police forces and canine brigades to monitor the illegal trade of chemical precursors. In 2008, Kazakhstan and France signed a strategic partnership, and in 2009, some intergovernmental agreements on industrial military cooperation were signed, although these agreements are of limited scope in terms of security cooperation. French assistance to Central Asia is not substantial, since the region is not considered a priority as compared with Sub-Saharan Africa and the Mediterranean Basin, the traditional areas where Paris provides assistance. 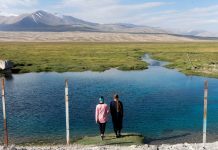 Assistance to Central Asia is often delegated to NGOs, such as Acted, one of the main partners of the Foreign Affairs Ministry, and Doctors without Borders. Acted, for example, was given the task of distributing French aid to Tajikistan during the energy crisis there in the winter of 2007 to 2008. Aid offered by Paris also comes in the form of compensation for the military presence of Detair, which has financed infrastructure work in primary schools and orphanages. French aid is concentrated on cultural cooperation, with two main focal points. The first is the promotion of French language and culture through the Alliance Française and other cultural centres. The second focal point is the training of administrative civil servants and academic elites. However, even in this traditional sector of prestige for France, cooperation remains modest, since Central Asia is not seen as a Francophone region. Moreover, the budgets allocated to cultural cooperation have been significantly reduced in recent years. France’s cultural budget for Tajikistan, for example, went from €123,000 in 2007 to €78,000 in 2009. The Central Asian students who complete part of their studies in France come mainly from Kazakhstan and Kyrgyzstan. In Kazakhstan, France is helping to train civil servants through the partnership between the National School of Administration and the Public Service Academy. During the academic year 2011-2012, one hundred Kazakhstani recipients of Soros and Bolashak scholarships were given the opportunity to pursue their studies in France. In 2011, a French education department was set up in Astana, enabling some Kazakhstani pupils to receive an education following French methods. The number of students from other countries whom France helps to educate remains very low – for instance, less than 10 Tajiks per year. Like many other European countries, France has largely delegated its criticism of Central Asia’s lack of respect for human rights and democracy promotion to European institutions, so as to facilitate its public and private firms’ negotiations with local authorities. France has emphasised energy cooperation, and in Kazakhstan, it has great hopes for the growing cooperation on military, space and nuclear technologies, considered to be the spearheads of French competitiveness. Central Asia is by no means set to become a high priority for Paris. It will most likely receive even less attention in the near future, as France looks towards its regions of traditional influence: the Mediterranean Basin, particularly after the Arab Spring, as well as traditional African Francophone areas. Beyond a few major economic engagements that relate mostly to the private sector and industries of national security, France hopes to continue to delegate much of its involvement in Central Asia to European bodies. See the ADETEF/Assistance technique website: V. Dupont, ‘Asiecentrale’, ADETEF, June 2009, http://www.adetef.fr/asie_centrale.html, accessed 29 October 2012. ‘Relations politiques, économiques, culturelles et scientifiques’,Embassy of France in Kazakhstan, 15 March 2012, http://www.ambafrance-kz.org/Relations-politiques-economiques, accessed 29 October 2012. 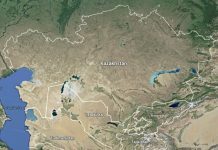 ‘Kazakhstan: Total signe un accord pour prendre une participation de 50% sur une concession détenue par OTG’,Total, 17 March 2010, http://www.total.com/fr/group/actualites/actualites-820005.html&idActu=2325, accessed 29 October 2012. For more information, see the French Ministry of Foreign Trade: ‘Ouzbekistan’, Trésor Direction Générale, http://www.tresor.economie.gouv.fr/Pays/ouzbekistan, accessed 29 October 2012. 29 November 2010, http://www.diplomatie.gouv.fr/fr/spip.php?page=rubrique_imprim&id_rubrique=4249, accessed 29 October 2012.